Our Boldmere hospice shop will be offering customers ten per cent off to celebrate its 10th anniversary on Wednesday, January 23 as the store marks a decade of raising money to support the charity’s important work in the local community. 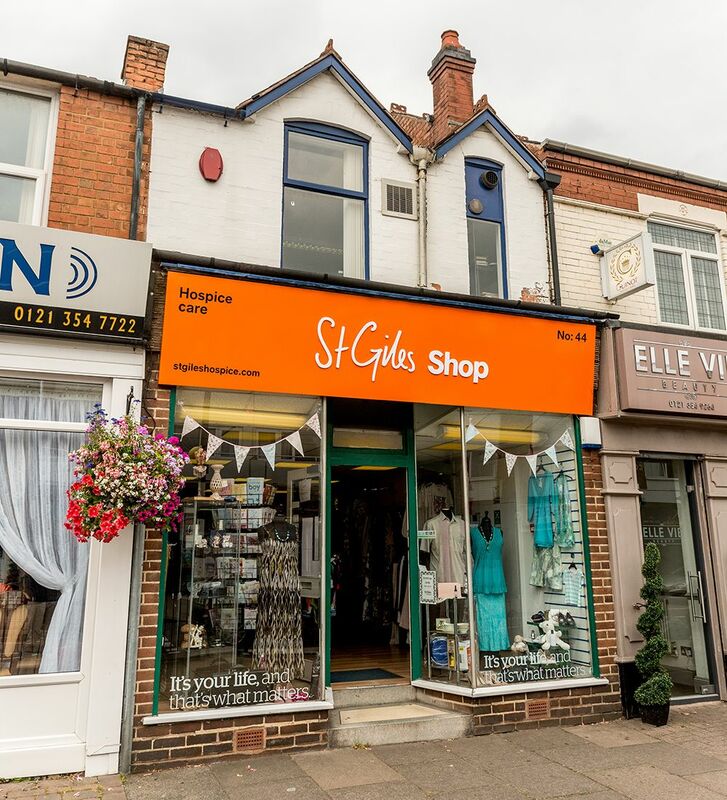 The store in Boldmere Road, Sutton Coldfield, opened in 2009 and has been helping to fund the work of St Giles ever since. It sells a wide range of goods and has a specialist vintage department, which features handpicked quality items including clothes, accessories, collectables, homeware, vinyl and more. Lynwen Truesdale, St Giles’ Head of Retail, said that every sale made at the Boldmere shop helped us get towards reaching the £9m we need to raise each year to fund the services we offer to patients, carers and families throughout the region. She said: “We’re delighted to be marking 10 years of our Boldmere store by offering this celebratory discount to our loyal regular shoppers, as well as hopefully welcoming new customers – who will get the chance to see that it is so much more than a regular charity shop, with its wide selection of general goods and high-quality vintage items. Lynwen added that one of the shop volunteers, Yvonne Hannon, had been with St Giles in Boldmere since the shop first opened 10 years ago. She said: “We’d like to thank Yvonne for all her support over the years – and all of our volunteers who work so hard to help us. St Giles could not do the work it does without the dedication of all of the people who give their free time to the charity and help out at its shops. Anyone interested in volunteering in one of our hospice shops can contact shopsinfo@stgileshospiceshops.org.uk for further details or pop into their local shop for a chat.